Phonographic Copyright (p) – Parlophone Records Ltd. Licensed To – Warner Bros. Records Inc. Published By – Canopy Music, Inc. Published By – Universal Music Publishing Ltd. Published By – Keith Prowse Music Pub. Co. Ltd. Published By – EMI Miller Catalog Inc.
Record Store Day 2019 Limited Edition with forest green translucent vinyl. Tracks are continuously numbered across sides. 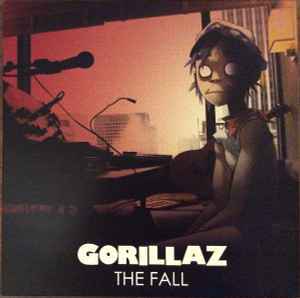 ℗ 2010 The copyright in this sound recording is owned by Parlophone Records Limited, under exclusive license to Warner Bros. Records Inc. © 2010 Gorillaz Partnership under exclusive license to Warner Bros. Records Inc. [...] Printed in Canada. Recorded between Montreal and Vancouver over 32 days on the Gorillaz North American Tour 2010. A1 Recorded in Montreal on 3rd October. A2 Recorded in Boston on 5th October. A3 Recorded in New Jersey and Virginia on 10th and 11th October. A4 Recorded in Detroit on 13th October. A5 Recorded in Chicago on 15th October. A6 Recorded in Chicago on 16th October. A7 Recorded in Joplin on 18th October. B1 Recorded in Houston on 19th October. B2 Recorded in Dallas on 20th October. B3 Recorded in Amarillo on 23rd October. B4 Recorded in Denver on 24th October. Stream and forest recorded in Santa Fe on 25th October. B5 Recorded in Santa Fe on 25th October and in Vancouver on 3rd November. B6 Recorded in Phoenix on 26th October. B7 Recorded in Oakland on 30th October. Train station announcement recorded at LA Train Station. B8 Recorded in Seattle on 2nd November. Mixed [...] at Studio 13. Mastered [...] at Abbey Road Studios. Published by Chrysalis Music Ltd / Copyright Control. Except track B8 published by Chrysalis Music Ltd/Copyright Control/Patrick Stuart Music (BMI) Adm. Sussman & Associates/Sony/ATV Music Publishing/Lyrical Mile Music (BMI)/Canopy Music Inc., Adm. Universal Music Publishing Ltd/Keith Prowse Music Publishing o/b/o EMI Miller Catalog Inc.
Track B8 contains samples of: Country Legends 97.1FM Houston Texas with Dan Gallo and Chuck Akers. "Cowboy Town" as recorded by Brooks and Dunn, used courtesy of RCA/JIVE Label Group, a unit of Sony Music Entertainment. Written by Boon/Nelson/Dunn. Published by Patrick Stuart Music (BMI) Adm by Sussman & Associates/Sony/ATV Music Publishing/Lyrical Mile Music (BMI). Used by permission. All rights reserved. "Witchita Lineman" as performed by Glen Campbell. Used courtesy of Capitol Records, under license from EMI Music Marketing. Published by Canopy Music Inc., Adm. Universal Music Publishing Ltd. Used by permission. All rights reserved. "Hawaiian War Chant (Ta-Hu-Wa-Hu-Wai)" as recorded by Spike Jones, used courtesy of RCA/JIVE Label Group, a unit of Sony Music Entertainment. Written by Freed/Noble. Published by EMI Miller Catalog. Used by permission. All rights reserved.